Aluminium exterior plantation shutters are an excellent choice when it comes to door and window treatments for a modern home. 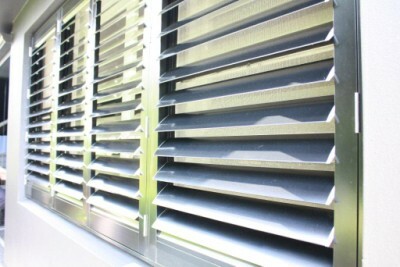 These shutters are no doubt one of the most durable and are incredibly resistant to the harsh elements. They are also reasonably easy to set up and maintain which is why these shutters have become increasingly popular over the years. Of course, the decision to add aluminium shutters to your home is not something to be taken lightly. There are a couple of things that you need to consider in the selection process and you need to follow specific steps to ensure a favourable result. We urge you to read on to learn more about the matter. Making sure that you have the correct window measurements is perhaps the first and most crucial step before getting aluminium shutters for your home. Simply put, you need to make sure that the shutters fit into your windows perfectly. Get this wrong, and you can forget about taking advantage of aluminium shutters. Before placing an order for aluminium shutters, you should check (and double check) the entire height and length of your window. These parameters should be precise and fit into your plans. Making sure that the shutters stay level during installation is just as important as ordering the correct dimensions for the metal shutters. Depending on the size of the shutters, the setup can be a 2 or 3 man job, and you would want to make sure that you have enough people to assist you in keeping the levelling perfect. Once the aluminium shutters are installed, double and triple check the assembly. If the screens are not level, then you have the opportunity to lower or raise them before installation. Inspect the wall and window frames for gaps before attaching the metal shutters. If you find any, fill in them out with a foam and silicone solution or a weather stripping film. Alternatively, you can purchase a window insulation kit at your local hardware store. The factors mentioned above are all mandatory and things that you will need to do if you wish to install metal shutters yourself. If you are unsure about the process, it would be best to entrust the job to professional contractors. In any case, it is helpful to have some idea about what needs to be done and plan things out accordingly. Are you looking to get started with some of the best prices for aluminium plantation shutters? We have what you need here at “Shutters Australia”! Browse through our excellent selection of window treatments online or get in touch with us on 1300 853 206 for answers to pertinent questions about getting a set of quality aluminium shutters for your home.